The Asics Gel-Trail-Tambora 4 ladies’ running shoes are light but strong trail shoes with a breathable upper that keeps air flowing and cooling your feet. The 215g (7.6oz) off-road shoes use California Slip Lasting to attach the seamless upper to the midsole for increased stability and comfort. The midsole uses Asics’ new Rearfoot GEL® cushioning system to absorbing those shocks from impacts for smoother and more enjoyable running. The Guidance Trusstic System® improves stability and torsion control and there is an anti-microbial sock-liner that can be removed to accommodate medical orthotics. The outsole is trail-specific and features reversed lugs that provide great traction both uphill and downhill. 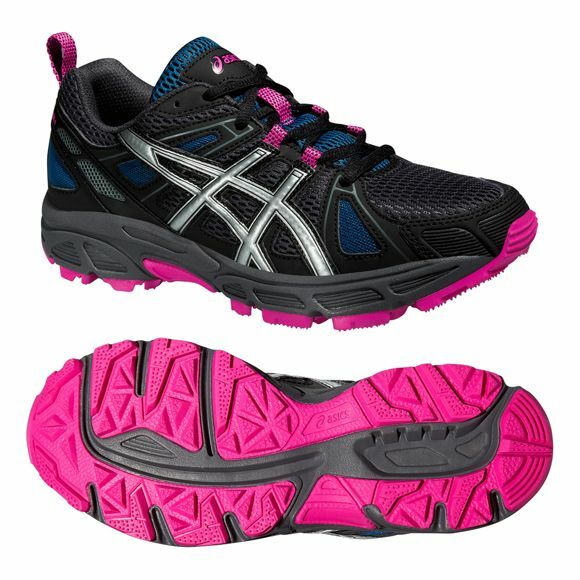 for submitting product review about Asics Gel-Trail-Tambora 4 Ladies Running Shoes.